The long term success of every business requires a balancing act between enhancing performance while managing social and environmental impacts. 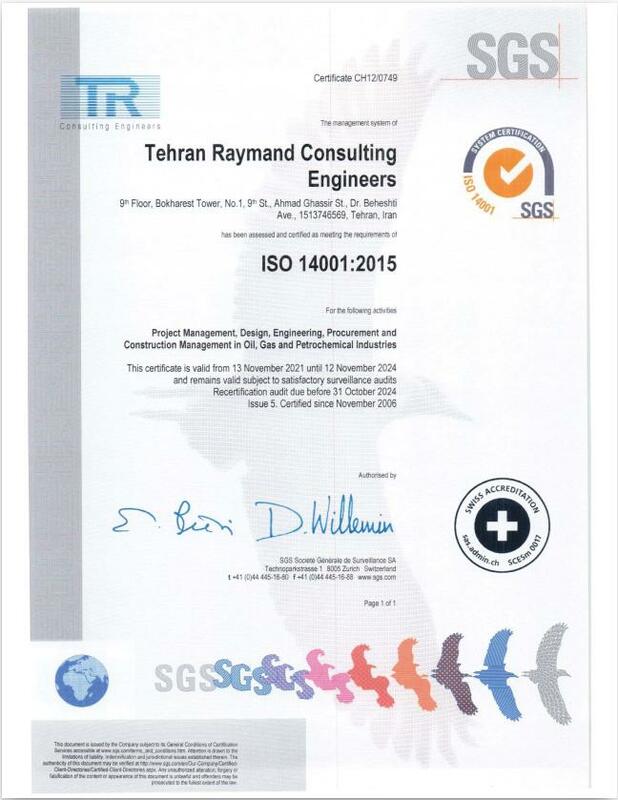 Tehran Raymand is committed to excellence in quality and safety and safeguarding the environment. In order to do so, we have established, maintained and certified our Integrated Management System based on recognized International Standards. Tehran Raymand Integrated Management System is based on and conforms to ISO 9001 (Quality Management System), ISO 14001 (Environmental Management System), OHSAS 18001 (Occupational Health and Safety Management System) & ISO/TS 29001 (Petroleum, Petrochemical and Natural Gas Industries - Sector-Specific Quality Management Systems). 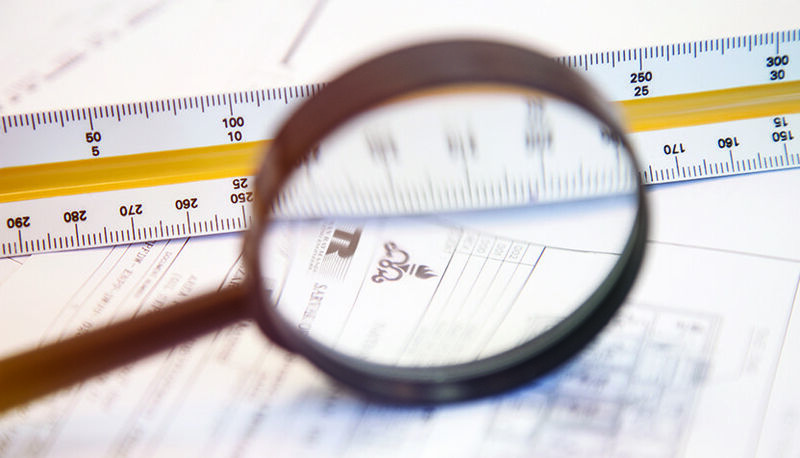 Our commitment to consistently provide product that meets customer and applicable regulatory requirements have been verified by internationally recognized certification bodies. TR strives for excellence in whatever it does. Our determination to be a leader in the quality of our services has been the reason behind our growth and success through the past decades. 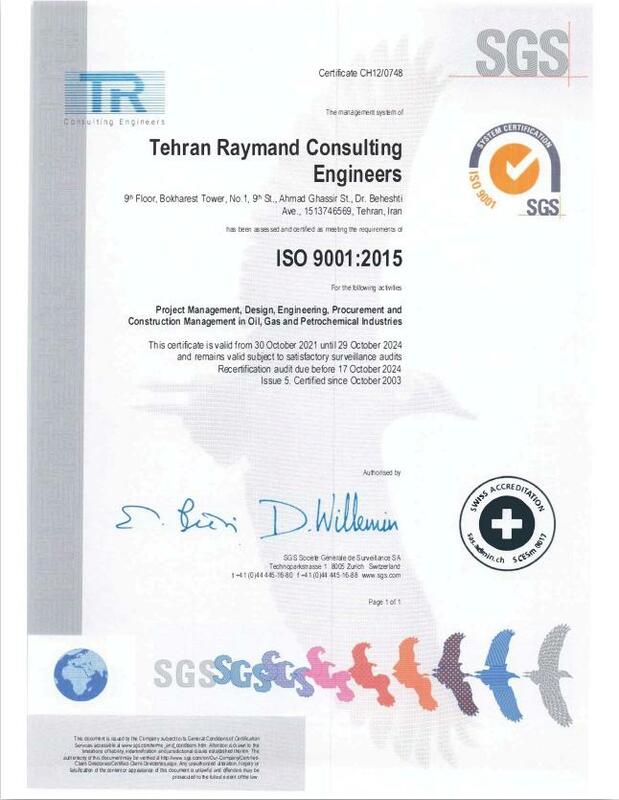 Tehran Raymand Consulting Engineers is committed to understanding and satisfying customers’ needs through conforming to contractual requirements and specifications, and complying with respective codes, standards, laws, regulations and considerations including environmental, occupational health and safety issues such as pollution prevention, improvement of energy and resources consumption, and prevention of injury and ill health. 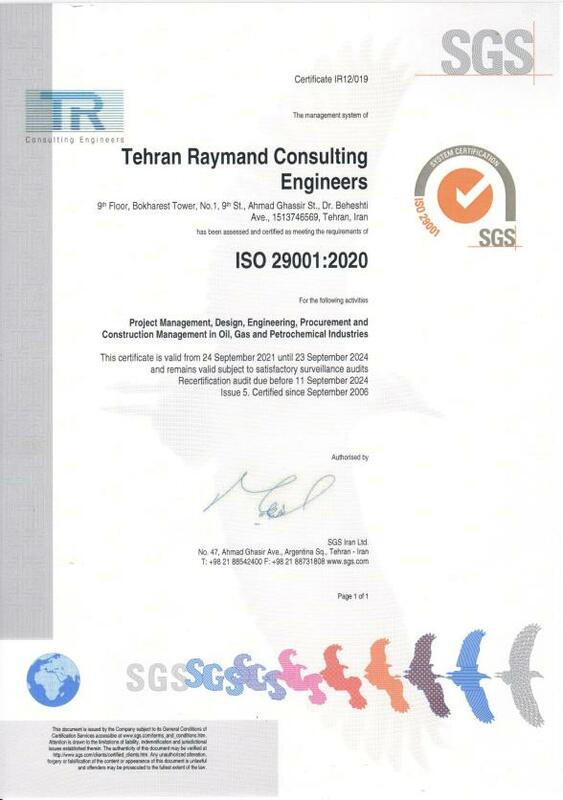 In order to achieve these goals, Tehran Raymand Consulting Engineers has established an Integrated Management System (IMS) encompassing a Quality Management System based on ISO 9001:2008 and ISO/TS 29001:2010 International Standards requirements, an Environmental Management System based on ISO 14001:2004 International Standard requirements, an Occupational Health and Safety Management System based on OHSAS 18001:2007 International Standard requirements and is committed to maintain its effectiveness and efficiency through continual review and improvement of all the technical and managerial processes. 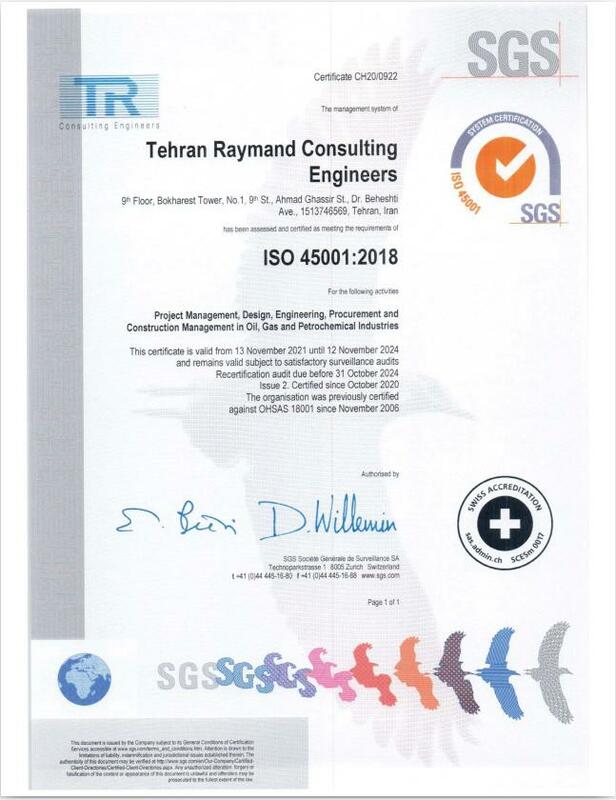 The management of Tehran Raymand Consulting Engineers highly believes in the role and responsibility of all the personnel in attaining the above goals, and is therefore committed to enhance organizational culture, team work and professional ethics, and to develop competency of all the personnel through continual training and motivation for personal growth and development.